C-COM Satellite Systems Inc. (TSXV: CMI) has received orders for approximately US$1.28 million for the firm's iNetVu® antenna systems from various customers across Africa. Mobile banking application in Africa using C-COM antennas. The systems have been purchased by several reseller partners and will be deployed by governments, militaries and commercial customers in the banking and broadcast sectors. C-COM expects to deliver these orders over the next few months. 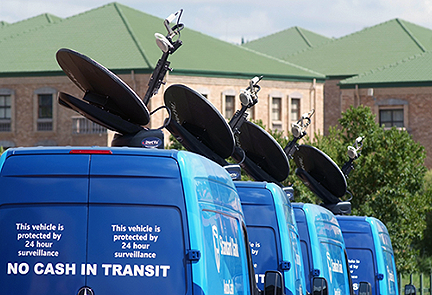 Drew Klein, the Director of Business Development for C-COM, said that while the company has been active in Africa for a number of years, the mobile VSAT market has been slow to develop for economic reasons. These significant orders, from new and existing C-COM’s Africa-based integrators, are an indication that market conditions in the region may be improving and that highly reliable and cost-effective auto-acquire antennas such as C-COM’s family of iNetVu® products are of high value.